Agent Sidekick provides marketing tools for Realtors. a person who helps and spends a lot of time with someone who is usually more important, powerful, etc. If you are reading this, you are most likely a real estate agent, so we won’t define that. You are an expert at your craft of helping your clients with their real estate transactions. But every agent could use a sidekick. A sidekick that will help support your business. A sidekick that knows you get the credit. A sidekick who is called upon when needed. A partner. You likely are not an expert at marketing, website development, or personal branding. And you may not have all the tools to make your job easier. As your sidekick, we are marketers. We are website developers. We are branding consultants. We will help you market yourself with a personally branded website. And we are constantly building new tools to add to our service. If you understand the need of having a personally branded website, then you need a sidekick. If you want to be a resource for all the home shoppers on the internet, and make them come to you as a qualified lead, then you need a sidekick. If you want to provide value to your existing clients and would like an easy and modern day way for them to refer you to other potential leads, then you need a sidekick. Agent Sidekick lets you have all of those things and more. 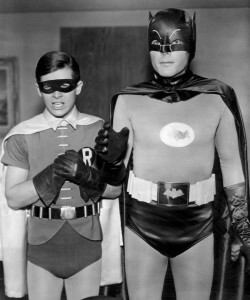 The best way to learn how we can be your sidekick, then take a Product Tour or contact us for a Free Consultation. Every real estate agent needs a sidekick.